Happy Halloween! and Blessed Samhain! On the pre-Christian Celtic calendar, October 31 was Samhain, pronounced Soo-when or Sow-when, and it marked the day when the world of the living and dead where at the closest. 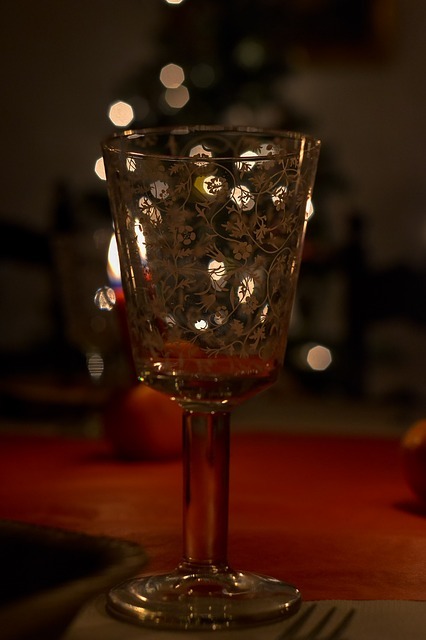 It is also the end of year, with November 1 as the start of the next year. This day is one of the most important Gaelic/Celtic/Pagan/Wiccan/Druidic holidays of the year! And please do not worry about the devil–he is not a part of Samhain. It is a day to remember those who have passed and to think of the future. Michelle raises an interesting question in this blog about the impact of the past on writing. This is the well-known saying that is at the heart of the 1941 Universal Studios film The Wolfman. This film completes the quartet of monsters that are at the heart of the Universal horror franchise: the Frankenstein Monster, Dracula, The Mummy, and the Wolfman. While there were certainly other creatures and monsters in the films in this time period, these are the four most prominent. While we see science run out of control and ancient evils in the other films, in The Wolfman, we view a story of tragedy that is focused on an ordinary man, Larry Talbot, who is swept up in unfortunate events beyond his control. Because he is bitten by a werewolf while trying to save a girl and lives, Larry Talbot is fated to become such a beast himself. The director and producer was George Waggner, and the writer was Kurt Siodmak. Most of our contemporary views about werewolf behavior do not come from ancient traditions or medieval European beliefs but from the mythology that Siodmak created for this movie. 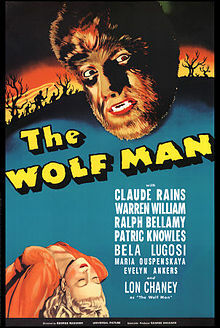 Siodmak created the idea that the time of the full moon is when a werewolf takes it form and that to become one, a person must be bitten by a werewolf and survive. 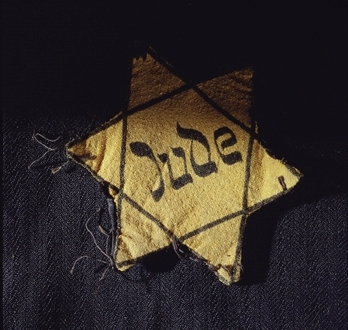 Siodmak also addressed contemporary issues, specifically the idea of a star marking the next victim of a werewolf, much like a star marking the Jewish people of Europe by the Nazis. Siodmak was a German Jew who had been successful as a writer but had to flee Germany with the take over by the Nazis. While the reference is not direct, it is still a clear metaphor for the horrors of the Nazis. The film demonstrates that evil is both natural and human created. In addition to excellent writing, the cast was also of the very best. Along side the star Lon Chaney Jr. were Clause Rains, Ralph Bellamy, Bela Lugosi, Maria Ouspenskaya, and Evelyn Ankers. Jack Pierce, as in the other main Universal horror films, created the unforgettable makeup that is the foundation for all other filmic and literary werewolves. It was a film that was excellent in every level of production, and it maintains its excellence today. I found this post on writing by longhand very interesting because I create my first drafts by writing longhand on legal tablets. I was wondering: do any of you do this? In 1932, Universal studios followed up on its enormous success with Dracula and Frankenstein with the release of The Mummy. Riding the crest of his popularity at the box office, Boris Karloff starred, Karl Freund directed, and Carl Leammle Jr. produced the film. 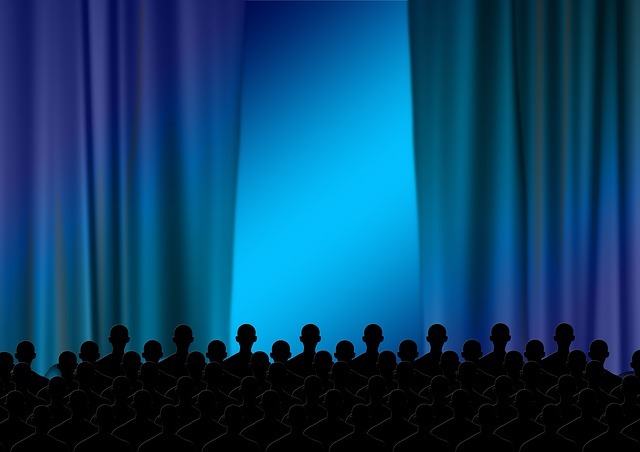 The movie was another financial success for the studio and further solidified its power and standing in the cinematic and entertainment world. The plot of the film featured a curse on an Egyptian tomb and the resurrection of Im-Ho-Tep who had been buried alive as a mummy in ancient Egypt. The film capitalized on the public awareness and excitement about the discovery of the tomb of King Tut and the supposed curse on that burial ground. 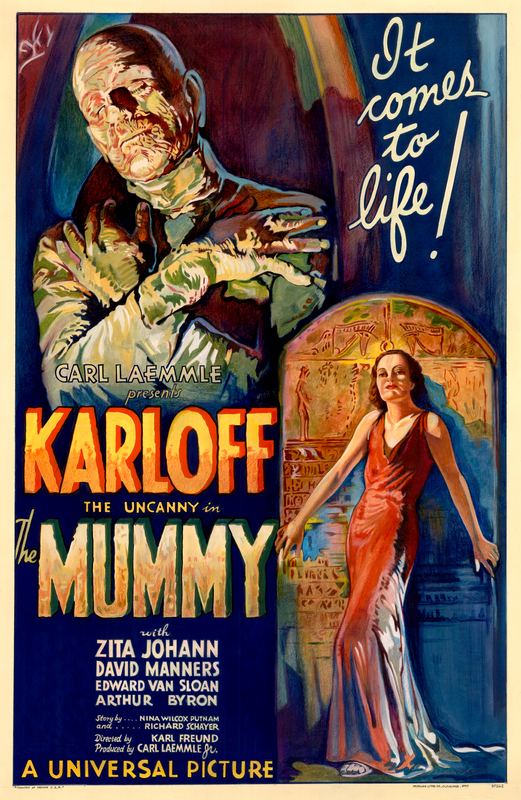 We see Karloff in the full mummy makeup and costume for only a short period in the film, then he appears as the mysterious character Ardeth Bey who is searching for the reincarnation of his lost love. The film is atmospheric and an excellent story, but it is distinctly different from the barrage of sequels that were very loosely based on this particular movie. In those films, a monster, often not very bright, and always in full mummy costume and makeup, would trample around and cause terror and destruction until it is stopped. This film focuses on the characters and the story more than overt horror. Additionally, along with The Bride of Frankenstein, this film is arguably one of the finest examples of creative cinematography of all horror films. The influence of German Expressionism, with its strong use of heavy dark and lights and clearly defined shadows is evident and important in The Mummy. Jack Pierce created the makeup and continued to establish himself as the finest and most important makeup artist in all of Hollywood. 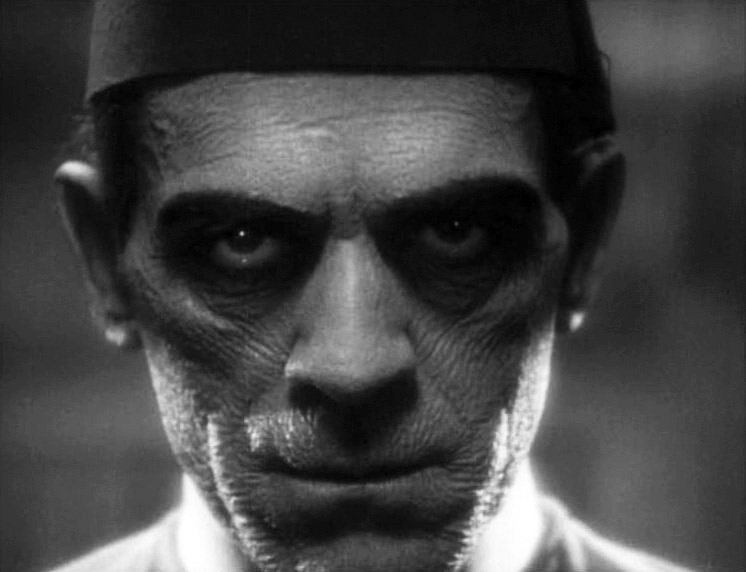 His dual creation of the mummy in costume and full monster makeup and of Ardeth Bey is powerful and visually compelling. If you have never seen this movie, you should put it on your viewing list. 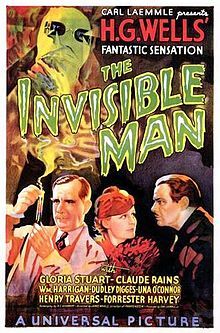 One of the more interesting and unusual horror films of the 1930s is The Invisible Man, directed by James Whale and produced by Carl Laemelle Jr. for Universal Studios (1933). This film is based on H.G. 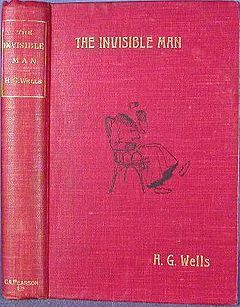 Wells’ novel of the same name, and it is a reasonably close adaptation of the book. Some changes were made to the story line, notably the addition of a love interest and moving the time from the Victorian Era to the 1930s. The film was unusual in the caliber and sophistication of the special effects, which still hold up to contemporary scrutiny. 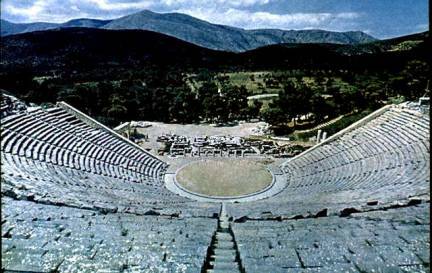 It is important to remember that these filmmakers were not using computer generated images to create their effects; rather, they were forced to create from ingenuity, creating new techniques in cinematic art. The end result shows visual images that are still powerful and compelling. The story is well told and excellently acted. Claude Rains stars as Dr. Griffin, the Invisible Man, and he does a superb job in his performance. He creates a convincing character of the scientist, who much like Victor Frankenstein, exhibits hubris in his research. He succeeds in finding the way to invisibility but goes insane as a result and becomes homicidal. The film ends with his character being chased down and killed, and before perishing, he admits he should not have explored forbidden areas of science. Again, this reinforces the theme earlier seen in Frankenstein. Another interesting theme that is hinted at in this movie is the danger of drug abuse, as also show in Dr. Jekyll and Mr. Hyde. Dr. Griffin uses a drug identified as “monocane” in his formula, and the consequences are his becoming dangerously insane. While he does not use the drug as an addict might, he still ruins his life through its usage. The film did well at the box office and is considered by many critics, including me, to be one of the best horror films of the 1930s. Two-hundred years ago, the steam-powered world experienced an apocalyptic flood. When the waters dried up, the survivors settled around their steamship in a wasteland they named Desertera. Believing the flood and drought were caused by a scorned goddess, the monarchs demanded execution for anyone who commits the unforgivable sin—adultery. UNTIL THE COGSMITH’S DAUGHTER RISKS EVERYTHING FOR VENGEANCE. When Aya Cogsmith is thirteen, King Archon has her father executed for treason. Orphaned and forced to turn to prostitution for survival, Aya dreams of avenging her father’s death. When Lord Varick approaches Aya with plans for vengeance, she agrees to play the king’s seductress—even though it puts her at risk for execution. Packed with high-society intrigue, dappled with seduction, and driven by revenge, The Cogsmith’s Daughter is a steampunk dystopian novel with the perfect mixture of conspiracy and romance. 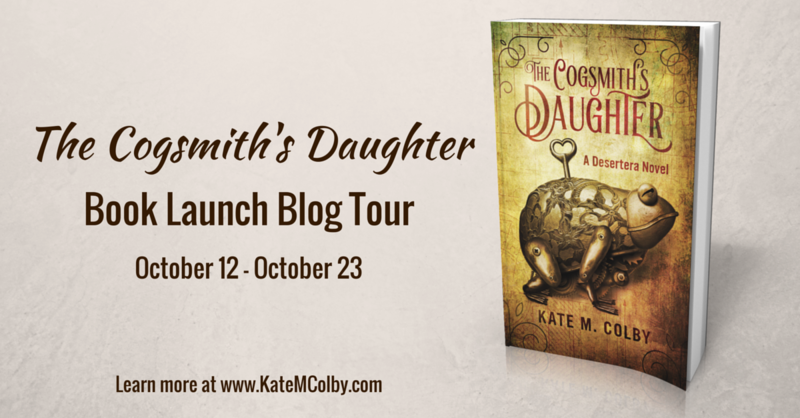 Please join me in giving a very warm welcome to Kate M. Colby, a talented and skilled author whose first book, The Cogsmith’s Daughter, is available today. I’m very excited to be part of her book launch blog tour, and I extend a round of applause for this emerging and talented writer. Kate is here to speak with us about becoming a writer and how she came upon the idea for her novel. I never quite know what to say when I’m asked how I became a writer. The most honest answer is, “I didn’t. I just always have been.” As long as I can remember, I’ve defined myself as a writer. My mom claims it began when I was a toddler. Apparently, I would recite my bedtime storybooks from memory, often adding my own embellishments to the tales. My first writing memory comes from second grade, when I wrote and illustrated a book for a class assignment. My teacher recognized my talent and encouraged me to keep writing. I did. As for my “professional” writing background, that is more substantial. I have a Bachelor of Arts in English literature, creative writing, and sociology. During university, I belonged to Sigma Tau Delta (the international English honor society), and presented twice at their annual convention. The first year, I presented a poetry collection, and the second, I presented a creative nonfiction essay (which placed third at the convention). Even though my heart has always been with fiction, I didn’t write much fiction in university. When I graduated college, I worked as an administrative assistant. I enjoyed my job and loved my working atmosphere, but I still felt unfulfilled. I decided that I was ready to finally write my novel. I just had to know, once and for all, if I could do it. 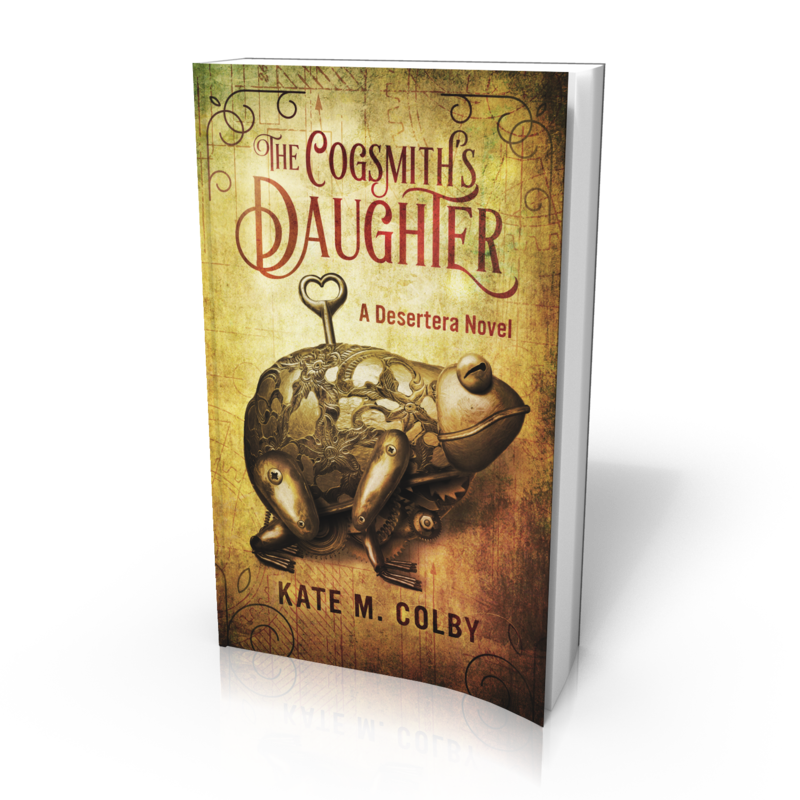 I signed up for National Novel Writing Month (an event where writers challenge themselves to write 50,000 words in 30 days), and I wrote the entire first draft of The Cogsmith’s Daughter (Desertera #1) in November 2014. So, in its simplest form, that’s how I “became” a writer. But that doesn’t answer the second question. How in the heck did I come up with my novel idea? The germ of the idea came during my senior year of college. I was working in the English office, and one of the professors asked me to help format some of her students’ articles that were being posted online. The articles were on The 1,001 Nights (aka The Arabian Nights). For those of you who are unfamiliar, it’s a tale about a king who believes women can never be faithful. He marries them, beds them, and then executes them the next morning. One wife is smart enough to keep his interest by telling elaborate bedtime stories, always ending on a cliffhanger so the king wants to know more the next night. As I read the class’ plot synopses and analyses, I thought to myself…what if the king took a different approach? What if adultery (which this king thinks all women will commit) was punishable by death? And that’s how the plot of The Cogsmith’s Daughter was born. Of course, I didn’t realize it at the time. I scribbled the thought down in my idea journal and continued with my shift. It wasn’t until September 2014, when I was searching back through my journal for an idea for NaNoWriMo, that I revisited the thought again. As I pondered my original idea, more questions emerged and answered themselves. What if the king abuses the adultery law, using it to get rid of his wives whenever he is bored with them? Wouldn’t someone notice the king’s pattern? Wouldn’t someone try to stop him? What if these opponents brought in a seductress to help frame the king in adultery, the same way he frames his wives? And on and on it went. Eventually, I fleshed out the details of the setting and wrote a plot outline. A lot changed as I did my planning, and even more changed while I wrote, but in the end, I came away with a novel. That novel released to the world today—less than one year after NaNoWriMo 2014. If anything, it just goes to show you—the smallest, seemingly insignificant thought can turn into a novel; you never know when you’ll find inspiration, so be open to everything and for the love of literature (and the joy of your future readers), write it down. If you want to see how that germ of an idea evolved into a novel for yourself, you can enter my Goodreads giveaway for your chance to win one of three signed copies of The Cogsmith’s Daughter HERE. Amazon US, Amazon UK, Amazon AU, etc. 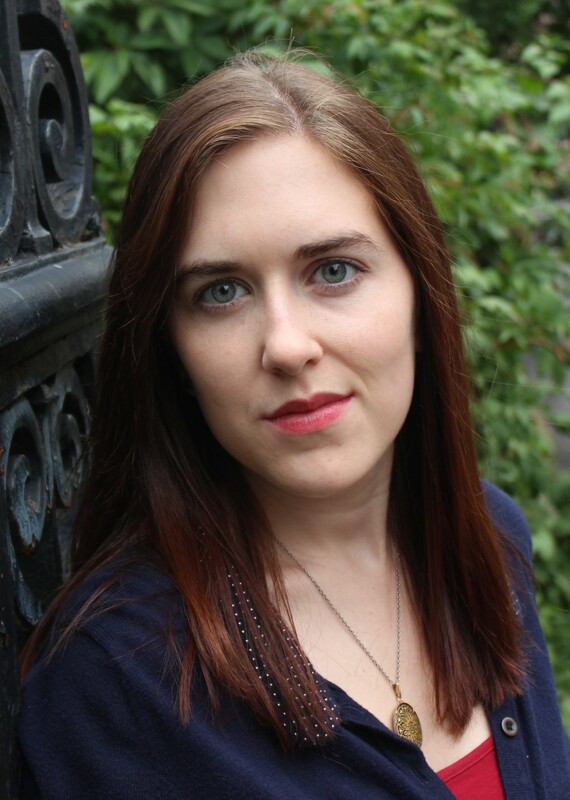 Kate M. Colby is an author of cross-genre fiction and creative nonfiction. 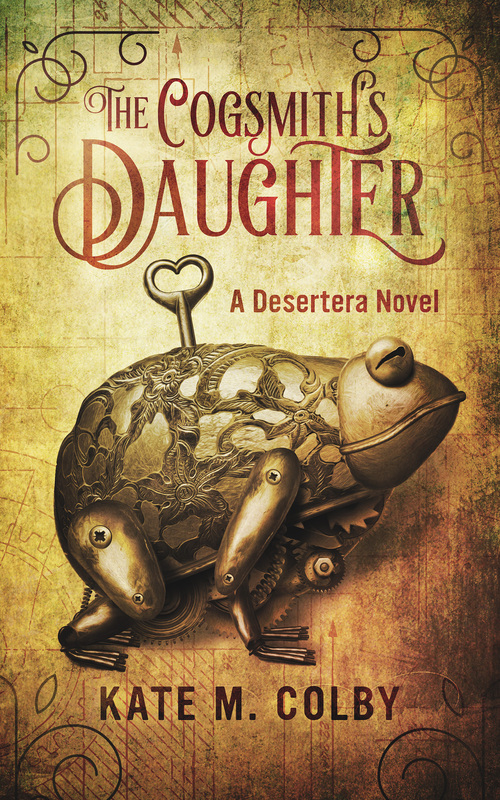 Her first series, Desertera, consists of steampunk dystopian novels with themes of socio-economic disparity, self-empowerment, romance, and revenge. She lives in the United States with her husband and furry children. You can learn more about Kate and her books on her website: http://www.KateMColby.com. Thank you to Kate Colby for spending time here today and talking about her new novel! I recommend this book highly–I have read it and loved it! I posted a review of it the other day in this blog. Remember, today is the release day for The Cogsmith’s Daughter!